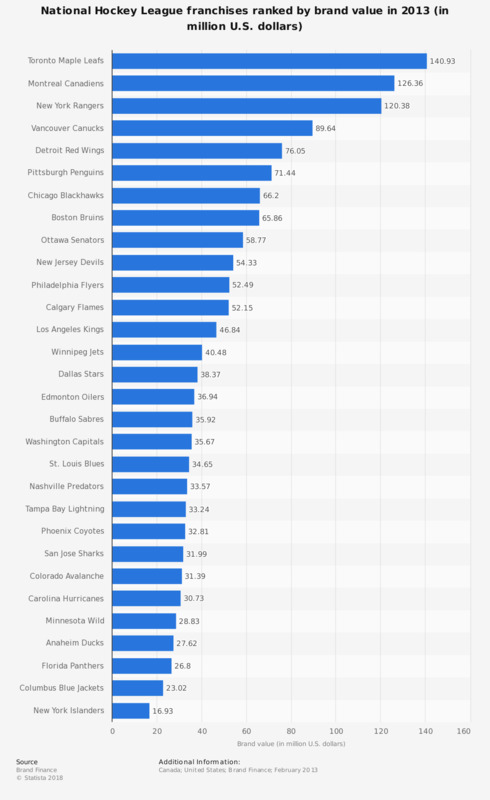 The statistic depicts the brand value of National Hockey League teams in 2013. The Toronto Maple Leafs had a brand value of 141 million U.S. dollars in 2013. A brand is defined here as the trademark and associated intellectual property. To calculate brand values the Royalty Relief method was used. This approach assumes the company doesn't own their brand and must license it from a theoretical third party. The method determines how much it would cost to do this.